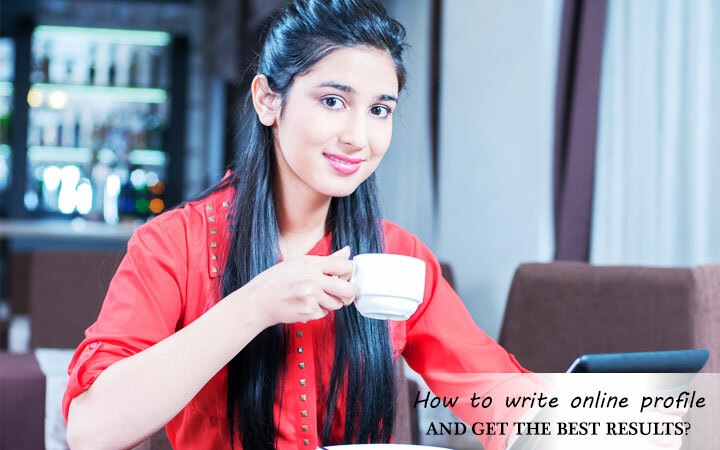 Have you been looking to write an online profile and know how to get best results? When it is about marriage or dating, you cannot just list your academic qualifications and work experience and think that people would be interested in dating you or send in marriage proposals. Thus, it is tricky to get it right without sounding conceited or pulling yourself down. The secret is to know how to write well. However, as personal and professional life is different, it is important to ensure that when you are creating an online profile and need to know how to get best results, it is essential to consider these aspects. Remember this is not a job resume. Don’t write details about your uncle’s, aunt’s and grand parents qualifications and their place of residence. It’s all about you not your extended family. You can mention number of siblings but that is all you need to write in your online profile. Be brief. Write about yourself briefly, clearly and in simple language. Post a recent photograph. Make sure that the photo is very recent and your head shot should encapsulates your face clearly. Ladies post good pictures and please don’t be shy. A profile without a photograph is incomplete. It’s like a person with no face a faceless person. Would you like to express interest to someone who hides his/her face. Make use of technology and get the best results. Summarize the things that you’d like in your future partner. This will clarify what you are looking for and will act as a filter about the people approaching you. Be honest. This is essential that you don’t lie about anything as it will not get you very far in any relationship. Stay specific. When you are talking about your hobbies and interests, stay to the point and don’t be vague. Your matrimonial or dating profile gives a peek into your personal qualities and what you aspire in your spouse or partner. Thus, stay positive and let your profile be interesting, witty and different from the thousands of run-of-the-mill profiles. You need to stand out in the virtual world, so think before you write and check your grammar. You will be surprised at the number of profile clicks you get if you adhere to these simple facts. Remember to initiate contacts don’t wait for someone to respond.